Power metal at its most....powerful! 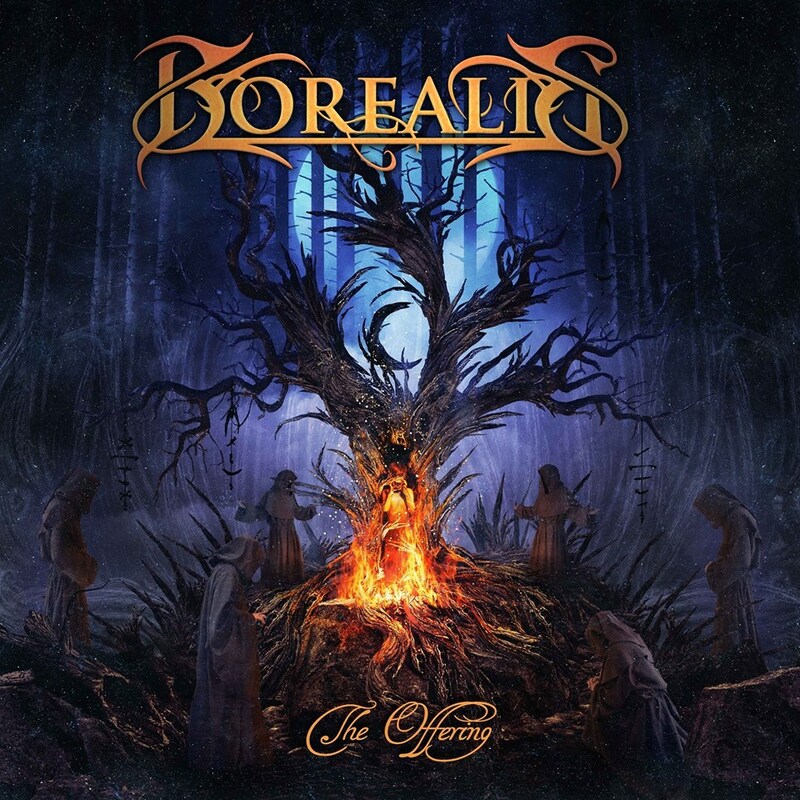 Canadian melodic metallers Borealis return with their 4th studio album, The Offering, and it’s noticeable that the band have gone bigger and better in every department! Admirably earnest, Borealis have always delivered soaring vocals, lightning-fast riffs and a sledge-hammer rhythm section, but the epic nature of The Offering is off the charts, pounding home anthem after anthem and delivering soaring leads, heart-wrenching vocals and magnificently over-the-top metal moments, each and every time. The title track itself is so muscular and yet so damn melodic it’s akin to having Schwarzenegger crooning in your face while he lifts 322 kilos of pure metal might! This is power metal at its most….powerful, and while the likes of Sonata Arctica, Evergrey and Kamelot are obvious benchmarks, you can also hear a little Killswitch Engage (at their most melodic) boiling away under the surface. And, at times, Matt Marinelli even recalls Howard Jones at his soaring, emotional best. Obviously, we’re not suggesting Borealis are a metalcore band, not by any means, but it’s hardly a stretch to join the dots between the two, with the work of In Flames (and their metalcore inspiring, Gothenberg sound) sitting in the middle, bridging the gap. We’ve even a few semi-breakdowns (check out “The River”) to further enhance our point, with staccato riffing crushing us underneath its Unearth-esque rhythmic crunch. There ‘s ballads too (obviously), with “The Devil’s Hand” proving particularly effective but overall it’s the smash and grab audacity of the bombastic “Sign Of No Return” which leaves the biggest mark.